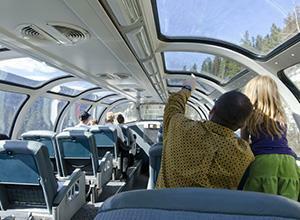 Canada is a huge country and travelling across it can be tricky – not to mention expensive. With a Canrailpass in your pocket, you can save money and the hassle of booking last-minute travel, enjoying multiple train journeys in either the provinces of Quebec and Ontario, or across the whole of Canada. Canrailpass Corridor is the perfect choice for travellers who want to make the most of Quebec and Ontario, as it allows you travel in these two provinces for 21 consecutive days. Travel through Quebec and you can sample the world-famous poutine in cosmopolitan Montreal, wander through the picturesque Old Town of Quebec City, and go whale-spotting in Tadoussac. Move into Ontario, and you’ll encounter the delights of the Canadian capital, Ottawa, the cultural capital, Toronto, and famous attractions such as the Niagara Falls. Of course, there’s a lot more to Canada than Quebec and Ontario. 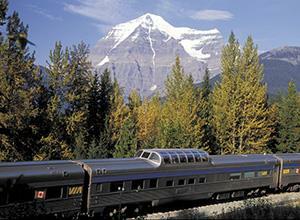 If you’re keen to explore the other provinces, then Canrailpass System is the rail pass for you. With this ticket, you can travel across the country for 60 consecutive days. The pass allows you to travel as far east as Nova Scotia, and as far west as Vancouver, where you can take the ferry over to beautiful Vancouver Island. It’s incredibly easy to book your Canrailpass Corridor or Canrailpass System with International Rail, though there are a few things to be aware of before you make your reservation. You can choose between seven one-way tickets, 10 one-way tickets, and unlimited travel, and the tickets must be used within the 21-day or 60-day period, you have booked. Find out more by contacting us on +44 (0) 871 231 0790. We’ll be happy to explain the details and get your adventure off to a good start.